Social Welfare History Project Keller, Helen — Story of My Life: Part 4. Keller, Helen — Story of My Life: Part 4. 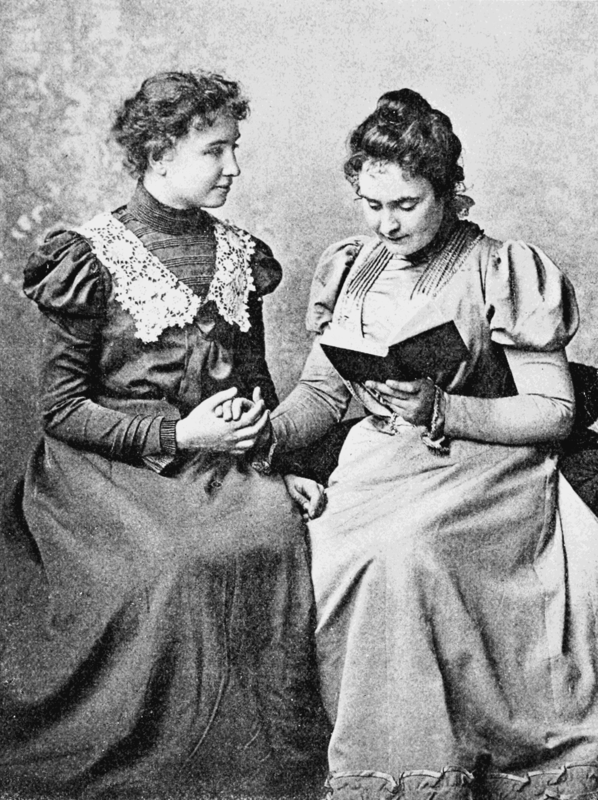 Helen Keller was devastated by the charges of plagiarism, and by Michael Anagnos’s efforts to distance himself from her. She went into a months-long depression, as recounted in this excerpt from her autobiography. Keller also describes how she learned and how dependent she was on reading for knowledge of the outside world. Like many children, she found it hard to separate what she read from her own thoughts, and she drew heavily on her sources in her writing. 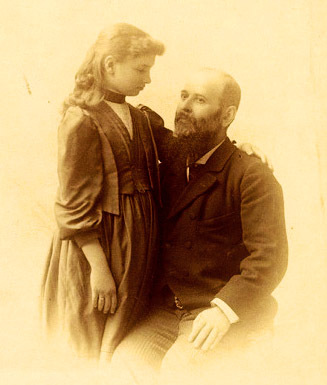 Keller’s dependence on reading, moreover, reflected Sullivan’s realization that the best way to teach Keller idiomatic (everyday) English was to expose her to as many books as possible—even if she could not yet understand every word or phrase. Indeed, after reading The Story of My Life, Mark Twain wrote Keller to express his support and condemn the “farce” of a trial. Twain argued that all writing involves some degree of plagiarism. THE winter of 1892 was darkened by the one cloud in my chidhood’s bright sky. Joy deserted my heart, and for a long, long time I lived in doubt, anxiety and fear. Books lost their charm for me, and even now the thought of those dreadful days chills my heart. A little story called “The Frost-King” which I wrote and sent to Mr. Anagnos, of the Perkins Institution for the Blind, was at the root of the trouble. In order to make the matter clear I must set forth the facts connected with this most painful episode, which justice to my teacher and to myself compels me to relate. When I wrote the story I was at home the autumn after I had learned to speak. At Fern Quarry Miss Sullivan had been describing to me the beauties of the late foliage, and it seems that her descriptions revived the memory of a story which must have been read to me and which I had unconsciously retained. I thought then that I was “making up a story,” as the children say, and I eagerly sat down to write it before the ideas should slip from me. My thoughts flowed easily; I felt a sense of joy in the composition. Words and images came tripping to my finger-ends, and as I thought out sentence after sentence I wrote them on my Braille slate. When the story was finished I read it to my teacher, and I recall now vividly the pleasure I felt in the more beautiful passages, and my annoyance at being interrupted to have the pronunciation of a word corrected. At dinner it was read to the assembled family, who were greatly amazed that I could write so well. Someone asked me if I had read it in a book. This question surprised me very much, for I had not the faintest recollection of having had it read to me. I spoke up and said, “Oh no, it is my story, and have written it for Mr. Anagnos.” Accordingly I copied the story and sent it to him for his birthday. It was suggested that I should change the title from “Autumn Leaves” to “The Frost-King,” which I did. I carried the little story to the post-office myself, feeling as if I were walking on air. I little dreamed how cruelly I should pay for that birthday gift. MR. ANAGNOS was delighted with “The Frost-King” and published it in one of the Perkins Institution reports. This was the pinnacle of my happiness, from which I was in a little while dashed to the earth. I had been in Boston only a short time when it was discovered that a story similar to “The Frost-King,” called “Frost-Fairies,” by Miss Margaret T. Canby, had appeared before I was born. The two stories were so much alike in thought and language that it was evident that Miss Canby’s story had been read to me, and that mine was — a plagiarism. It was difficult to make me understand this; but when I did understand I was astonished and grieved. No child ever drank deeper of the cup of bitterness than I did. I had disgraced myself; I had brought suspicion upon those I loved best. And yet how could it possibly have happened? I racked my brain until I was weary, to recall anything about the frost that I had read before I wrote “The Frost-King,” but I could remember nothing, except the common reference to Jack Frost, and a poem for children, “The Freaks of the Frost,” and I knew I had not used that in my composition. At first Mr. Anagnos, though deeply troubled, seemed to believe me. He was unusually tender and kind to me, and for a brief space the shadow lifted, revealing the splendor of love and trust and faith — plants that bloom in the shady spots of our lives. To please him I tried not to be unhappy and to make myself as pretty as possible for the celebration of Washington’s Birthday, which took place very soon after I received the sad news. I was to be “Ceres ” in a kind of masque given by the blind girls. Ah, how well I remember the graceful draperies that enfolded me, the bright autumn leaves that wreathed my head, and the fruit and grain at my feet and in my hands, and beneath all the gayety and charm of the masque the oppressive sense of coming ill that chilled my heart. The night before the celebration one of the teachers of the Institution had asked me a question connected with “The Frost-King,” and I was telling her that Miss Sullivan had talked to me about Jack Frost and his wonderful works. Something I said made her think she detected in my words an acknowledgment that I did remember Miss Canby’s story of the “Frost-Fairies,” and she laid her conclusions before Mr. Anagnos, although I had told her most emphatically that she was mistaken. Mr. Anagnos, who loved me tenderly, thinking that he had been deceived, turned a deaf ear to the pleadings of love and innocence. He believed that Miss Sullivan and I had deliberately stolen the bright thoughts of another and imposed them on him to win his admiration. I was brought before a court of investigation composed of the teachers and officers of the Institution, and Miss Sullivan was asked to leave me. Then I was questioned and cross-questioned with what seemed to me a determination on the part of my judges to force me to acknowledge that I remembered having had the “Frost-Fairies” read to me. I felt in every question the doubt and suspicion in their minds, and I felt, too, that a loved friend was looking at me coldly and reproachfully, although I could not have put all this into words. The blood pressed about my thumping heart, and I could scarcely speak, except in monosyllables. Even the consciousness that it was only a dreadful mistake did not lessen my suffering, and when at last I was allowed to leave the room I was dazed and did not notice my teacher’s caresses, or the tender words of my friends. As I lay in my bed that night I wept as I hope few children have wept. I imagined I should die before morning, I felt so cold; and the thought comforted me. I think if this sorrow had come to me when I was older it would have broken my spirit beyond repairing. But, fortunately for me, the angel of forgetfulness has gathered up and carried away much of the misery and all the bitterness of those days. Miss Sullivan had never heard of the “Frost-Fairies” or of the book, “Birdie and His Friends,” in which it was published. She investigated the matter carefully, and at last it came out that Mrs. Sophia C. Hopkins had had a copy of the book in 1888, the year that we spent the summer with her in Brewster. Mrs. Hopkins was unable to find her copy; but she has told me that at that time, while Miss Sullivan was away on a vacation, she tried to amuse me by reading from various books, and although she could not remember “Frost-Fairies” any more than I, yet she felt sure that “Birdie and His Friends” was one of the books she read. She explained the disappearance of her book by the fact that she had a short time before sold her house and disposed of many juvenile books, such as fairy-tales, etc. At that time the stories had little or no meaning for me; but the mere spelling of the strange words was sufficient to amuse a little child who could do almost nothing to amuse herself; and although I do not recall a single circumstance connected with the reading of the stories, yet I cannot help thinking that I made a great effort to remember the words, with the intention of having them explained when my teacher returned. WHEN Miss Sullivan came back I did not speak to her about the “Frost-Fairies,” probably because she began at once to read “Little Lord Fauntleroy,” which filled my mind to the exclusion of everything else. But the fact remains that Miss Canby’s story was read to me once, and that long after I had forgotten it it came back to me so naturally that I never suspected that it was the adopted child of another mind. In my trouble I received many messages of love and sympathy which are precious to remember. All the friends I loved best, except one, have remained my own. Miss Canby herself wrote kindly, “Some day you will write a great story out of your own head, that will be a comfort and help to many.” But this kind prophecy has never been fulfilled. Indeed, I have ever since been tortured by the fear that what I write is not my own. For a long time when I wrote a letter, even to my mother, I was seized with a sudden feeling of terror, and I would spell the sentences over and over, to make sure that I had not read them in a book. Had it not been for the persistent and constant encouragement of Miss Sullivan, I think I should have given up trying to write altogether. I have read the “Frost-Fairies” since, also the letters I wrote in which I used other ideas of Miss Canby’s. I find in one of them, a letter to Mr. Anagnos, dated September 29, 1891, words and sentiments exactly like those of the book. At this time I was writing “The Frost-King,” and this letter, like many others, contains phrases which show that my mind was saturated with the story. For instance, I represent my teacher as saying to me of the golden autumn leaves, “Yes, they are beautiful enough to comfort us for the flight of summer” — an idea direct from Miss Canby’s story. This habit of assimilating what pleased me and giving it out again as my own appears in much my early correspondence and my first attempts at writing. In a little essay which I wrote about the old cities of Greece and Italy, I borrowed my glowing descriptions with my variations from sources I have forgotten. I knew Mr. Anagnos’s great love of antiquity and his enthusiastic appreciation of all beautiful sentiments about Italy and Greece. I therefore gathered from all the books that I read every bit of poetry or of history that I thought would give him pleasure. Mr. Anagnos, in speaking of my essay on the cities, has said, “These ideas are poetic in their essence.” But I do not understand how he ever thought a blind and deaf child of eleven could have invented them. Yet I cannot think that, because I did not originate the ideas, my little composition is therefore quite devoid of interest. It shows me that I could express my appreciation of beautiful and poetic ideas in clear and animated language. Mr. Anagnos seems to ignore the fact that those early compositions were mental gymnastics. I was learning, as all young and inexperienced persons learn, by assimilation and imitation, to put ideas into words. Everything I found in books that pleased me I retained in my memory, consciously or unconsciously, and adapted it. I AM afraid I have not completed this process yet. It is certain that I cannot always distinguish my own thoughts from those which I read, because what I read becomes the very substance and texture of my mind. Consequently, in nearly all that I write I produce something which very much resembles the crazy patchwork I used to make when I first learned to sew. This patchwork was made of all sorts of odds and ends — pretty bits of silk and velvet; but the rough, coarse pieces that were not pleasant to touch always predominated. Likewise my compositions are made up of half-formed, crude notions of my own, inlaid with the brighter thoughts and riper opinions of the authors I have read. It seems to me that the great difficulty of writing is to make the language of the educated mind express the confused ideas, half feelings, half thoughts, which represent our mentality when we are little more than bundles of instinctive tendencies. Trying to write is very much like trying to put a Chinese puzzle together: We have a pattern in mind which we wish to work out in words; but the words will not fit the spaces, or, if they do, they will not match the design. But we keep on trying because we know that others have succeeded, and we are not willing to acknowledge that we are defeated. “There is no way to become original, except to be born so,” says Stevenson. And although I may not be original I hope some time to outgrow my artificial, periwigged compositions. Then, perhaps, my own thoughts and experiences will come to the surface. Meantime I trust and hope and persevere, and try not to let the bitter memory of “The Frost-King” trammel my literary efforts. This sad experience may have done me good and set me thinking on some of the problems of composition. My only regret is that it resulted in the loss of one of my dearest friends. I mean Mr. Anagnos. The moment we met I loved him, and a friendship began which, though cruelly broken, I still cherish as one of my most precious memories. It is sweet to recall his goodness to me as a child — how he held me on his knee, and, forgetting his many cares, made my happiness his own. He loved to talk to me about ancient Greece and Rome. It was he who guided my feet to the Ã†gean shore and showed me his beloved Hellas through the blue mist of time, still beautiful and statuesque amid the ashes of her dead splendor. But doubt and suspicion will blot out even the sweetest friendship. THE summer and winter following “The Frost-King” incident I spent with my family in Alabama. I recall with delight that home-going. Everything had budded and blossomed. I was happy; “The Frost-King” was forgotten. When the ground was strewn with the crimson and golden leaves of autumn, and the musk-scented grapes that covered the arbor at the end of the garden were turning golden brown in the sunshine, I began to write a sketch of my life — a year after I had written “The Frost-King.” I was still excessively scrupulous about everything I wrote. The thought that what I wrote might not be absolutely my own tormented me. No one knew of these fears except my teacher. A strange sensitiveness prevented me from referring to “The Frost-King”; but often when an idea flashed out in the course of conversation I would spell softly in her hand, “I am not sure it is mine.” At other times, in the midst of a paragraph I was writing, I said to myself, “Suppose it should be found that all this was written by some one long ago!” An impish fear clutched hold of my hand, so that I could not write any more that day. And even now I sometimes feel the same uneasiness and disquietude. The chief events of the year 1893 were my trip to Washington during the inauguration of President Cleveland, and visits to Niagara and the World’s Fair. With an eagerness as insatiable as that with which Cortez seized the treasures of Mexico I took in the glories of the Fair with my fingers. I saw many wonders — marvels of invention; treasures of skill and patient industry; the works of man in every country and in all times. We were accompanied by Doctor Alexander Graham Bell, who went everywhere with us and explained the objects of greatest interest. Whenever it was possible I touched the machinery and followed the work in all its processes. Needless to say, these experiences added a great many new terms to my vocabulary; and before the summer was over I had taken a long leap from the child’s interest in fairy-tales and toys to the appreciation of the real and the earnest in the workaday world. In a word, all the marvels of tale and song, all the activities of human life passed tinder my finger-tips. BEFORE October, 1893, I had studied various subjects by myself in a more or less desultory manner. I read the histories of Greece, Rome and the United States. I also had a French grammar in raised print, and as I already knew some French I often amused myself by composing in my head short exercises, using the new words as I came across them, and ignoring rules and other technicalities as much as possible. I even tried, without aid, to master the French pronunciation, as I found all the letters and sounds described in the book. Of course, this was tasking slender powers for great ends; but it gave me something to do on a rainy day, and I acquired a sufficient knowledge of French to read with pleasure La Fontaine’s “Fables,” “Le Medecin MalgrÃ¨ Lui,” and passages from Athalie. I also gave considerable time to the improvement of my speech. I read aloud to Miss Sullivan and recited passages from my favorite poets, which I had committed to memory; and she corrected my pronunciation and helped me to phrase and inflect. It was not, however, until October, 1893, after I had recovered from the fatigue and excitement of my visit to the World’s Fair, that I began to have regular lessons. Miss Sullivan and I were at that time in Hulton, Pennsylvania, visiting the family of Mr. William Wade. It was arranged that I should study under Mr. Irons, a neighbor of theirs. I remember him as a man of rare, sweet nature and of wide experience. He taught me Latin Grammar principally; but he often helped me in Arithmetic, which I found as troublesome as it was uninteresting. I regarded this study as a system of pitfalls. I hung about the dangerous frontier of “guess,” avoiding with infinite trouble to myself and others the broad valley of reason. When I was not guessing I was jumping at conclusions, and this fault, in addition to my dullness, aggravated my difficulties. Mr. Irons also read with me Tennyson’s “In Memoriam.” I had read many books before, but never from a critical point of view. I learned for the first time to know an author, to recognize his style as I would recognize the clasp of a friend’s hand. I studied “In Memoriam” not merely as a great poem, but a poem filled with soul, chastened and noble in style, breathing of shattered hopes, and cruel sorrow. At first I was rather unwilling to study Latin Grammar. It seemed absurd to waste time analyzing every word I came across — noun, genitive, singular, feminine, etc. — when its meaning was quite plain. I thought I might just as well describe my pet in order to know it — order, vertebrate; division, quadruped; class, mammalia; genus, felinus; species, cat; individual, tabby. But as I got deeper into the subject I became more interested, and the beauty of the language delighted me. I often amused myself by reading Latin passages, picking up words I understood and trying to make sense; I have never ceased to enjoy this pastime. There is nothing more beautiful, I think, than the evanescent fleeting images and sentiments presented by a language one is just becoming familiar with — ideas that flit across the mental sky like iridescent clouds, shaped and tinted by capricious fancy. Miss Sullivan sat beside me at my lessons, spelling into my hand whatever Mr. Irons wished to say, and looking up new words for me. I was just beginning to read Caesar’s “Gallic War” when I went to my home in Alabama. IN THE summer I attended the meeting at Chautauqua of the Association to Promote the Teaching of Speech to the Deaf. Here it was arranged that I should go to the Wright-Humason School for the Deaf in New York City. I went there in October, 1894, accompanied by Miss Sullivan. This school was chosen especially for the purpose of obtaining the highest advantages in voice culture, speech, and training in lip-reading. In addition to my work in these special subjects, during the two years I was in the school, I studied Arithmetic, Physical Geography, French and German. My progress in lip-reading and speech was not what my teachers and I expected and hoped it would be. It was my ambition to speak like other people, and my teachers believed that this could be accomplished; but, although we worked hard and faithfully, yet we did not quite reach our goal. I suppose we aimed too high, and disappointment was therefore inevitable. But, although these disappointments caused me great depressit times, I pursued my other studies with unflagging interest, especially Physical Geography. It was a joy to learn the secrets of Nature: how, in the picturesque language of the Old Testament, the winds are made to blow from the four corners of the earth, how the vapors ascend from the ends of the earth, how rivers are cut out among the rocks, and mountains overturned by the roots, and in what ways man may overcome many forces mightier than himself. WHEN a very little girl I had visited Wellesley College and surprised my friends by the announcement: “Some day I shall go to college — but I shall go to Harvard!” When asked why I would not go to Wellesley I replied that there were only girls there. The thought of going to college took root and became an earnest desire, which impelled me to enter into competition for a degree with seeing and hearing girls, in the face of the strong opposition of many wise friends. When I left New York the idea had become a fixed purpose; and it was decided that I should go to the Cambridge School for Young Ladies, to be prepared for Radcliffe College. This was the nearest approach I could get to Harvard. I entered the Cambridge School in October, 1896. The plan was to have Miss Sullivan attend the classes with me and interpret to me the instruction given. Of course, my instructors had had no experience in teaching any but normal pupils, and my only means of conversing with them was to read what they said by placing my fingers on their lips. My studies for the first year were English History, English Literature, German, Latin and Arithmetic, Latin Composition and occasional themes. Never before had I taken a course of study with the idea of preparing for college; but I had been well drilled in English by Miss Sullivan, and it soon became evident to my teachers that I needed no special instruction in this subject beyond a critical study of the books prescribed by the college. Moreover, I had had a good start in French and had received six months’ instruction in Latin; but German was the subject with which I was most familiar. In spite, however, of these advantages there were serious drawbacks to my progress. Miss Sullivan could not spell out in my hand all that the books required, and it was very difficult to have textbooks embossed in time to be of use to me, although my friends in London and Philadelphia were willing to hasten the work. For a while, indeed, I had to copy my Latin in Braille, so that I could recite with the other girls. My instructors soon became sufficiently familiar with my imperfect speech to answer my questions readily and correct mistakes. I could not make notes in class or write exercises; but I wrote all my compositions and translations at home on my typewriter. Each day Miss Sullivan went to the classes with me and spelled into my hand with infinite patience all that the teachers said. In study hours she had to look up new words for me and read and reread notes and books I did not have in raised print. Frau GrÃ¶te, my German teacher, and Mr. Gilman, the principal, were the only teachers in the school who learned the finger language to give me instruction. No one realized more fully than dear Frau GrÃ¶te how slow and inadequate her spelling was. Nevertheless, out of the goodness of her heart she laboriously spelled out her instruction to me twice a week, to give Miss Sullivan a little rest. But, though everybody was kind and ready to help us, there was only one hand that could turn drudgery into pleasure. Mr. Gilman instructed me part of the year in English Literature. We read together “As You Like It,” Burke’s “Speech on Conciliation with the Colonies,” and Macaulay’s “Life of Samuel Johnson.” Mr. Gilman’s broad views of history and literature and his clever explanations made my work easier than it could have been had I only read notes mechanically with the necessarily brief explanations given in the classes. At the Cambridge school, for the first time in my life, I enjoyed the companionship of seeing and hearing girls of my own age. I lived with several others in one of the pleasant houses connected with the school, the house where Mr. Howells used to live, and we had all the advantages of home life. I joined them in many of their games, even “blind man’s buff” and frolics in the snow; I took long walks with them; we discussed our studies and read aloud the things that interested us most. Some of the girls learned the manual alphabet, so that Miss Sullivan did not have to repeat their conversation to me. At Christmas my mother and little sister spent the holidays with me, and Mr. Gilman offered to let my sister Mildred study in his school. Accordingly Mildred came to Cambridge; we helped each other, and for six months we were hardly ever separated. I TOOK my preliminary examinations for Radcliffe from the twenty-ninth of June to the third of July in 1897. The subjects I offered were elementary and advanced German, French, Latin, English, and Greek and Roman History, making nine hours in all. I passed in everything, and received “honors” in German and English. Perhaps I had better explain the usual method of admission to Radcliffe College. The student is required to pass in sixteen hours — twelve hours being called elementary and four advanced. Five hours must be passed at a time to count. The examination papers are given out at Harvard and brought to Radcliffe by a special messenger. Each candidate is known, not by his name, but by a number. I was number 233, but as I had to use a typewriter my identity could not be concealed. It was thought advisable for me to have my examinations in a room by myself, because the noise of the typewriter might disturb the other girls. Mr. Gilman read all the papers to me by means of the manual alphabet. The first day I had German. Mr. Gilman sat beside me and read the paper through, then he read it sentence by sentence, while I repeated the words aloud, to make sure that I understood him perfectly. The papers were difficult, and I felt very anxious as I wrote out my answers on the typewriter. Mr. Gilman read to me what I had written, and I made such changes as I thought necessary, and he inserted them. I wish to say here that I have not had this advantage since in any of my examinations. At Radcliffe no one reads the papers to me after they are written, and I have no opportunity to correct errors unless I get through before the time is up. In that case I correct such mistakes as I can recall in the few minutes allowed. If I passed the preliminary examinations with higher credit than I did the finals it was because I had the advantage of having the papers read to me. Mr. Gilman sent my written work to the examiners with a certificate that I, Candidate No. 233, had written the papers. All the other examinations were conducted in the same manner. None of them was so difficult as the first. I remember that the day the Latin paper was brought to us Professor Schilling came in and informed me that I had passed satisfactorily in German. This encouraged me greatly, and I sped on with a light heart and a steady hand. When I began my second year at the Gilman school I was full of hope and determined to succeed. But during the first few weeks I was confronted with unforeseen difficulties. Mr. Gilman had agreed that that year I should study Mathematics principally. I had Physics, Algebra, Geometry, Astronomy, Greek and Latin. Unfortunately, many of the books I needed had not been embossed in time for me to begin with the class, and I lacked important apparatus for some of my studies. The classes were large, and it was impossible for the teachers to give me special instruction. Miss Sullivan was obliged to read almost all the books to me and interpret for the instructors, and for the first time in eleven years it seemed as if her dear hand would not be equal to the task. It was necessary for me to write Algebra and Geometry in class and solve problems in Physics, and this I could not do until we bought a Braille writer, by means of which I could put down the steps of my work. I could not follow with my eyes the geometrical figures drawn on the blackboard, and my only means of getting a clear idea of them was to make them on a cushion with straight and curved wires which had bent and pointed ends. Sometimes I lost all courage and betrayed my feelings in a way I am ashamed to remember, especially as the signs of my trouble were afterward used against Miss Sullivan, the only person of all the kind friends I had there who could make the rough places smooth. Little by little, however, my difficulties began to disappear. The embossed books and other apparatus arrived, and I threw myself into the work with renewed confidence. Algebra and Geometry were the only studies that continued to defy my efforts to comprehend them. As I have said before, I had no aptitude for Mathematics; the different points were not explained to me as fully as I wished. The geometrical diagrams were particularly vexing because I could not see the relation of the different parts to each other, even on the cushion. JUST before the books came Mr. Gilman had begun to remonstrate with Miss Sullivan on the ground that I was working too hard, and in spite of my earnest protestations he reduced the number of my recitations. At the beginning we had agreed that I should take five years to prepare for college, but at the end of the first year the success of my examinations led Miss Sullivan and two of the most experienced teachers at the school to assert that I could without too much effort complete my preparation in two years more. Mr. Gilman at first agreed to this, but when my tasks had become somewhat perplexing he insisted that I was overworked, and that I should remain at his school three years longer. I steadily protested that I could and would do everything to enter college on the same terms as the girls in my classes. In vain. On the seventeenth of November I was not very well and did not go to school. Although Miss Sullivan knew that it was not serious, yet Mr. Gilman, on hearing of my indisposition, was convinced that I was breaking down and made changes in my studies which would have rendered it impossible for me to take my final examinations with my class. Finally the difference of opinion between Mr. Gilman and Miss Sullivan resulted in my mother’s withdrawing me and my sister from the Cambridge school. After some delay it was arranged that I should continue my studies under a tutor, Mr. Merton S. Keith, of Cambridge. Miss Sullivan and I spent that winter with friends in Wrentham, twenty-five miles from Boston. From February to July, 1898, Mr. Keith came out to Wrentham twice a week and taught me Algebra, Geometry, Greek and Latin, Miss Sullivan interpreting his instruction. In October, 1898, we returned to Boston. For eight months Mr. Keith gave me lessons five times a week, in periods of about an hour. He explained each time what I did not understand in the previous lesson, assigned new work, and took home with him the Greek exercises which I had written during the week on my typewriter, corrected them fully and clearly, and returned them to me. In this way my preparation for college went on uninterruptedly. I found it much easier and pleasanter to be taught by myself than to receive instruction in classes. There was no hurry, no confusion. My teacher had plenty of time to explain what I did not understand, so I got on faster and did better work than I ever did in school. I still found more difficulty in mastering problems in Mathematics than I did in any other of my studies. I wish Algebra and Geometry had been half as easy for me as the Languages and Literature. But even Mathematics Mr. Keith made interesting; he succeeded in whittling problems small enough to get through my brain. He kept my mind alert and eager, and trained it to reason clearly, and to seek conclusions calmly and logically, instead of jumping wildly into space, as it were, and arriving nowhere. Moreover, he was always forbearing, no matter how dull I might be, and, believe me, my stupidity would often have exhausted the patience of that phenomenally patient man, Job! ON JUNE 29 and 30, 1899, I took my final examinations for Radcliffe College. The first day I had elementary Greek and advanced Latin, and the second day Geometry, Algebra and advanced Greek. The college authorities objected to Miss Sullivan’s reading the examination papers to me; so Mr. Eugene C. Vining, one of the instructors at the Perkins Institution for the Blind, was employed to copy the papers for me in American Braille. Mr. Vining was a stranger to me and could not communicate with me except by writing Braille. The Proctor was also a stranger, and did not attempt to communicate with me in any way. The Braille worked well enough in the Languages, but when it came to Geometry and Algebra difficulties arose. I was sorely perplexed, and felt discouraged, wasting much precious time, especially in Algebra. It is true that I was familiar with all literary Braille — English and American — and New York Point; but the method of writing the various signs and symbols used in Geometry and Algebra in the three systems is very different, and I had used only the English method in my Algebra. Two days before the examinations Mr. Vining sent me a Braille copy of one of the old Harvard papers in Algebra. To my dismay I found that it was in the American notation. I sat down immediately and wrote to Mr. Vining, asking him to explain the signs. I received another paper and a table of signs by return mail, and I set to work to learn the notation. But on the night before the Algebra examination, while I was struggling over some very complicated examples, I could not tell the combinations of bracket, brace and radicals. Both Mr. Keith and I were distressed and full of forebodings for the morrow; but we went over to the college a little before the examination began, and had Mr. Vining explain more fully the method of writing those symbols. IN GEOMETRY my chief difficulty was that I had always been accustomed to reading the propositions in line print or to having them spelled into my hand; and somehow, although the propositions were right before me, I found the Braille confusing and could not fix in my mind clearly what I was reading. But when I took up Algebra I had a harder time still. The signs, which I had so lately learned and which I thought I knew, perplexed me. Consequently my work was painfully slow, and I had to read the examples over and over before I could form a clear idea of what I was required to do. Indeed, I am not sure now that I read all the signs correctly. I found it very hard to keep my wits about me. But I do not blame any one. The administrative board of Radcliffe did not realize how difficult they were making my examinations, nor did they understand the peculiar difficulties I had to surmount. But if they unintentionally placed obstacles in my way I have the consolation of knowing that I overcame them all. Source: Keller, Helen, “The Story of My Life Series: Part 4,” The Ladies’ Home Journal, July 1902. Disability History Museum, http://www.disabilitymuseum.org/dhm/lib/detail.html?id=2399&page=all. (May 2, 2014).